Why should learning to read be a battle? Answer: it shouldn’t. Save your battles for fighting bad guys. 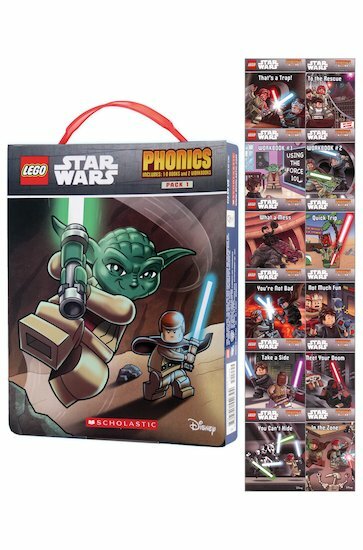 This LEGO® Star Wars™ phonics set makes it really easy to master essential reading skills. No problems, no struggles! Step into a faraway galaxy where brave Jedi Knights go on cool adventures and help you to explore phonics. Join the heroes in ten stories and two phonics workbooks that practise long and short vowels. Train up your Jedi reading powers! Very good books. Our 5yr old loved it so much and read them all with such anticipation. Had a bit of help from the adults, but it was worth it.